Ed Jensen is a recent retiree from a long career with Accenture, where he served as the global managing director of the human resources consulting practice. During his career, Ed worked with many Fortune 100 companies to improve the effectiveness of their HR functions. Ed also advised business leaders in areas such as leadership development, organizational design, talent management and strategic planning. Ed was responsible for a global practice of over 4000 professionals, with annual revenues of $350 million. He is the owner or co-owner of several patents for tools that he developed which assist in the diagnosis and planning for transforming HR organizations. Ed has spoken at several HR conferences and was quoted in numerous publications including the Wall Street Journal, New York Times and Time magazine. Ed has a long-term commitment to civic and education matters, especially Catholic education. He served on the board of Pinecrest Academy in Georgia, where he led the Development Committee, for two years. 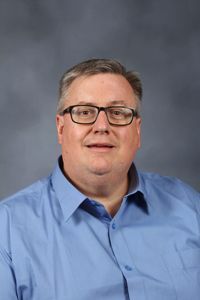 He also served for three years as a member of the St. Michael Parish School Board, leading the committee that developed an updated strategic plan for the school. He then became chair of the school’s Enhancement Committee, which oversaw all marketing, enrollment and development activities. Ed has served on the Education committee of the SFHS Board of Directors since 2013, and on the Executive and Nominating committees since 2015. Ed and his wife Peggy have six children (Katie ’09, Elizabeth ’10, Cody ’13, Meg ’13, Ellie ’18 and Andrew ’20). They reside in Wheaton and are members of St. Michael parish.